In fitlet2 are the 2 LAN ports independent allowing to connect each to a different networks? Yes. 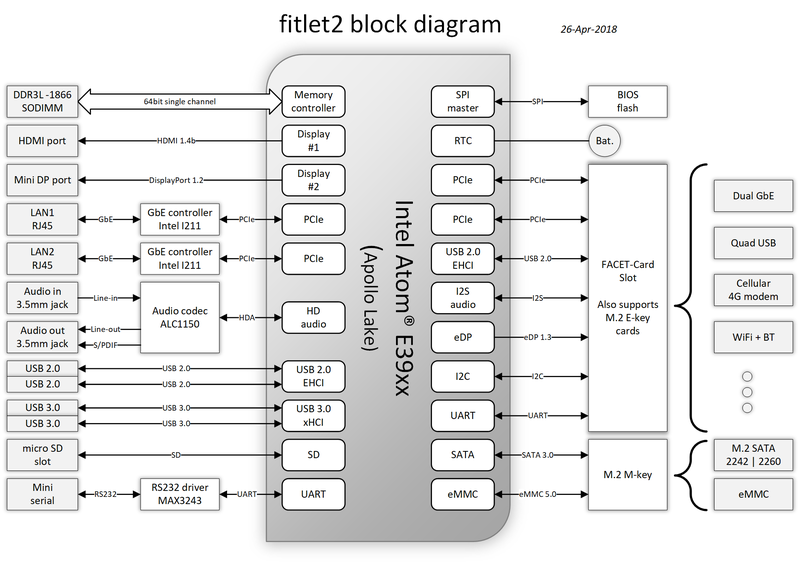 There are two independent Intel i211 Gbit Ethernet controllers that allow connecting fitlet2 to two different networks. No. It supports M.2 storage devices with SATA interface, but not NVMe devices. is it correct that a fitlet2/MBM2 has a GPU with HEVC capabilities? Best to consult Anandtech on video playback capabilities. Does fitlet2 include a power supply that works in my country? 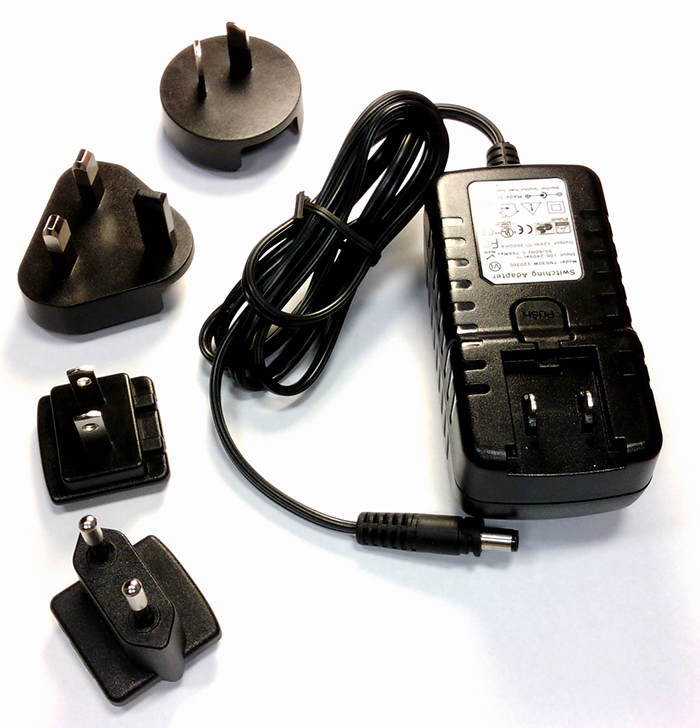 fitlet2 ships with a universal 100V – 240V PSU and a full international AC plugs set. It should work worldwide out-of-the-box. 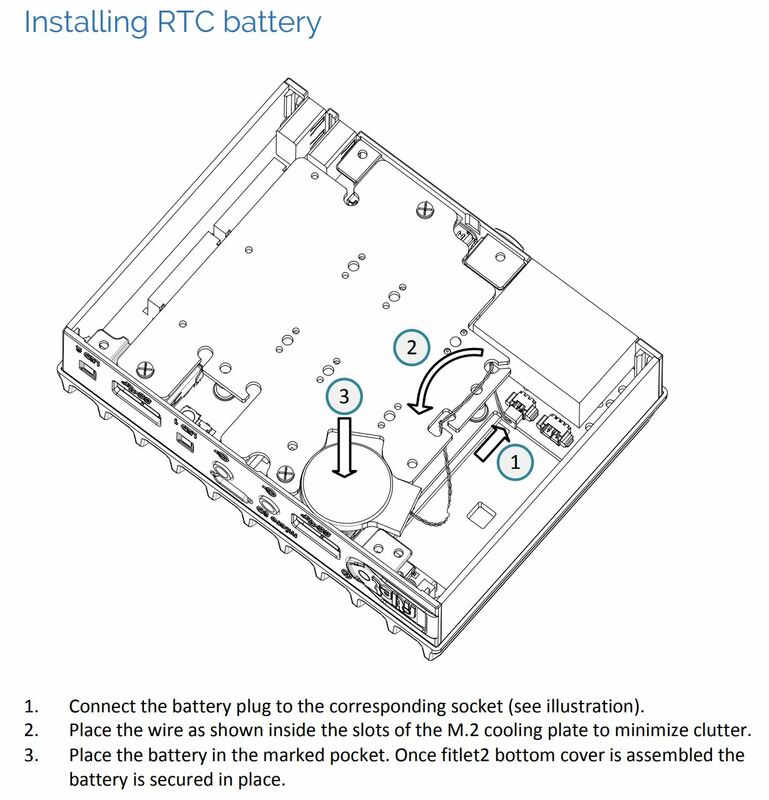 How do I install RTC battery in fitlet2? Please consult owner’s manual for more details. What is the difference between FC-CEM and FC-PCI? Since miniPCIe and M.2 modems are both popular there is a version that supports each respectively, hence the two FACETs. Does vulnerability INTEL-SA-00086 apply to fitlet2? Compulab applied the Intel recommended update as soon as it became available. fitlet2 units shipped after 23-Nov-2017 are not subject to the vulnerability. How can I tell if performance of fitlet2 is sufficient for my intended application? You may consult minimum requirements defined by the application vendor. You may also check user-reviews of platforms having similar CPU, e.g. Intel NUC NUC6CAYH. Performance of fitlet2 J3455 is nearly identical. fitlet2 supports integrating either mini-PCIe or M.2 cellular modem. (of course, an external USB modem is also an option). To use a cellular modem inside fitlet2 a FACET card is required. FC-CEM for M.2 modem. micro-SIM socket is on the FACET itself. The modem is inserted into the B-key M.2 socket. WiFi M.2 adapter is supported and can work in conjunction with the cellular modem. M.2 2280 SSD can be installed. FC-PCI for miniPCIe modem. micro-SIM socket is on the FACET itself. The modem is inserted into the miniPCIe socket. Compulab can supply an LTE or 3G miniPCIe modem for FC-PCI. Does industrial temperature fitlet2 have only TI rated components? Compulab performs stress-tests on industrial temperature (TI) rated systems to qualify the system with the installed components. This test is more reliable than the testing of individual components. Yes. Z-Wave adapters are available in mini-PCIe form factor. 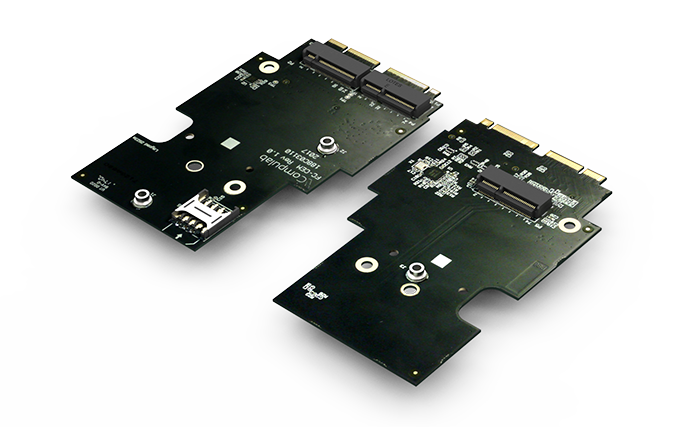 Any mini-PCIe card can be installed using the FC-PCIe FACET Card. Can fitlet2 work with more than one storage device? Do FACET Cards affect the SSD I can use with fitlet2? Vanilla fitlet2 can take M.2 M-key 2260 / 2242 SATA SSDs. Some FACETs (like FC-CEL, FC-PCIe) allow installing M.2 M-key 2280 SATA SSDs. Why is there only one SODIMM in fitlet2? Doesn’t it affect performance? Apollo Lake architecture supports dual channel, but there is no performance penalty in using single channel (unlike Core CPUs, where dual channel improves performance). There is also no RAM capacity restriction. In fact fitlet2 supports 16 GB RAM rather than 8 GB max as stated for Apollo Lake. Does fitlet2 support ECC RAM? fitlet2 does not support ECC RAM. In DDR3 SODIMM ECC RAM requires a different pinout than non-ECC RAM.